I drive past those Cash Advance and Payday Loan places just about every day but had never paid much attention until one of my friends got in financial trouble. She had just lost her job and was behind on rent so she went to get an advance and it ended up being a horrible experience and she lost a lot of money. She had no idea what she was really getting into. But looking back, I don’t know what she could have done differently. How are those places legal and how can we stop the same thing from happening to others? First of all, I am so sorry for your friend. Unfortunately, she is not alone in what she has experienced and it can be extremely difficult to recover from this kind of financial crisis. However, I am thankful she has a friend like you to help and encourage her. I’ll outline some practical next steps you can help her take. But first, I want to explain a little more about payday loans. Payday loans (and a closely-related product, auto title loans) offer fast cash without requiring much approval. The repayment on these short-term loans is typically due the next payday. On the surface, they seem like a fair option if you need to cover rent, utilities bill, or make it to the end of the month. Payday loans can carry more than 300% interest rates. To put that in perspective, the maximum allowable penalty interest rate on credit cards is 29.99%. With such extreme interest rates, missing one payment can make it nearly impossible to repay the original loan, causing many to turn to more payday loans to finance the first, creating a cycle of overwhelming debt. These types of institutions are often called predatory lenders because they often enslave the financially vulnerable, those with limited credit options, or those with limited financial knowledge. They can trap many and drive them to rock bottom. 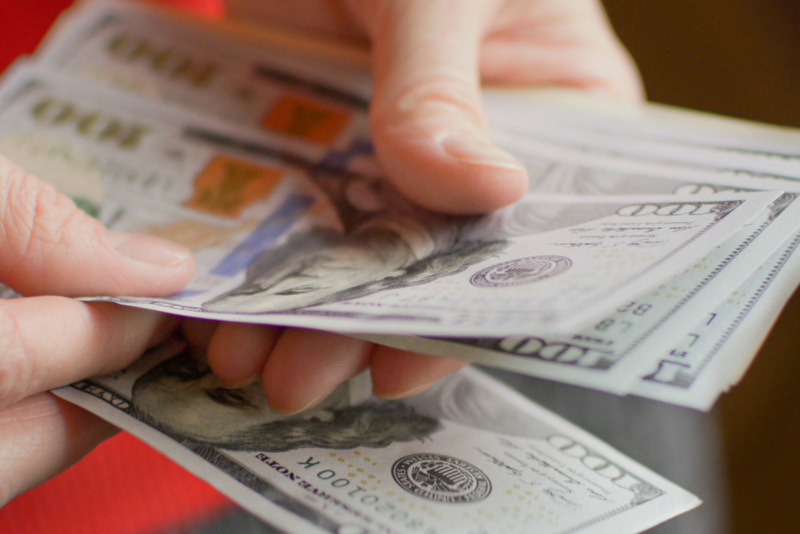 A 2012 Pew report reported that 12 million Americans take out payday loans annually. More than 5% of all American adults have used one within the past five years. The government has attempted to rein in payday lenders with oversight and policy fixes, but some operations are deceptive and illegal by taking advantage of the financially distressed. In January, the NCSL (National Conference of State Legislatures) compiled a list of payday lending statutes by state. In Texas, the number of payday lenders outnumbers grocery stores. Even with the government’s efforts to rein in the payday lenders, many, like your friend, don’t know where else to turn for help in desperate need. Some, like J. D. Vance, author of Hillbilly Elegy, have been helped by payday loans and didn’t suffer extreme consequences. Others may have similar stories, but millions fall victim every year and cannot break free. I recommend avoiding them at all costs. The Bible has much to say on money and debt. God is clear He wants us to avoid debt because of the burden it causes and the restrictions it forces us to live within. Proverbs 22:7 says, “the borrower is slave to the lender”. When someone you know is in financial trouble, point them to God. Like the Apostle Paul said, He is the Owner and Provider of everything. If you are in financial crisis, talk to a wise friend, mentor, pastor, or family member before making any decisions. It can be difficult to admit when you’re in crisis, but wise advice and counsel can save you from painful consequences later on. Asking for help certainly isn’t easy but sometimes necessary! James 4:10 says, “Humble yourselves before the Lord, and he will lift you up.” It takes humility, but your friend could have asked her landlord for an extension, gone to church, family, or friends. Accepting a loan from a friend or family member also comes with risk, so be wise in who and how you ask. My friend, Peter Greer, of Hope International, offers these alternatives to payday loans. Pick up extra hours at work, offer to clean, mow yards, or run errands for friends. Try to sell clothing, decor, or other items around your house on Craiglist, Facebook, or at a pawn shop. You can find more ideas here. You may be able to get a personal loan from a bank or credit union. And, lastly, a credit card cash advance has high interest rates but lower than payday loans and easier payback terms. 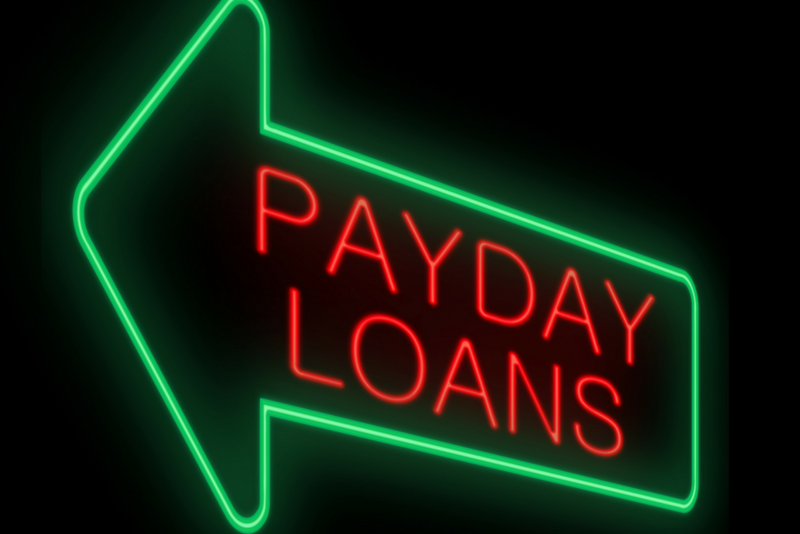 The circumstances that drive people to take out payday loans are different for everyone. Many Americans are living paycheck to paycheck, regardless of how much money they make. The problem we face is a lack of financial margin, not a lack of finances. It takes a lot of hard work and discipline to create financial margin, but it can be done. There are basic things you can do (or help your friend do) to prevent that kind of crisis from happening again. The first step is to develop an emergency savings account. This will help you avoid debt or credit card dependency in the future. Start with a goal of $1,000 and don’t touch it unless it’s a true emergency! Then, make a budget. This will require you to get organized and have a realistic view of your finances. Remember, that “if your outgo exceeds your income, then your upkeep will be your downfall.” Cut all unnecessary expenses – that includes cable, eating out, shopping, subscriptions, and other luxuries. Next, get out of debt. If you have overwhelming credit card debt, get in touch with Christian Credit Counselors. To create a debt-payoff plan today, go through our mini video series, 5 Steps to Debt-Free Living and use the debt snowball calculator. I hope you are able to help your friend overcome the financial challenges she is facing right now. You can find many resources online at crown.org or speak with one of our staff members by calling 800-722-1976. They’d love to pray with you and help you find the resources you need.